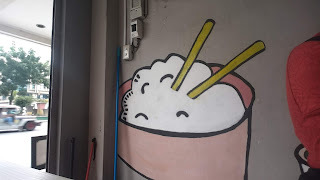 Just near LRT Taft and situated in the busy street of Buendia lies this Filipino Korean 'Korean-deria,' catering both Filipino carenderia favorites while providing Korean food choices for those who would like to try Korean food. 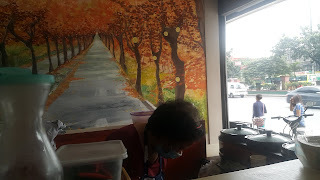 The food shop could accommodate about only six people at the same time because it's a to go style shop that customers are facing the cook and the preparing space. The design is almost inspired by the popular burger stand in the Philippines wherein customers are facing one another. 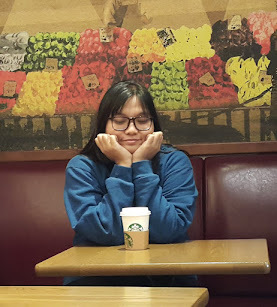 They also have cute and artsy wall designs comprising of huge food samples and a Korean street during fall as an inspiration. It's just a five minute commute away from my house so I gave it a try. We ordered Bulgogi and Bibimbap and both comes with Kimchi. I was surprised that they almost look the same when it was served. 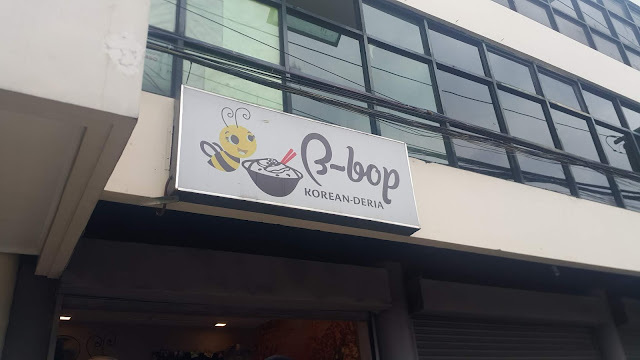 For someone who isn't familiar with Korean food, you'll get confused with the two. Bulgogi - stir fried flavored pork (a little similar to adobo but has a sesame oil flavor added to it.) They served bulgogi with kim (dried seaweeds) and hofan noodles which surprised me a lot. It also came with some veggies that's pretty surprising. 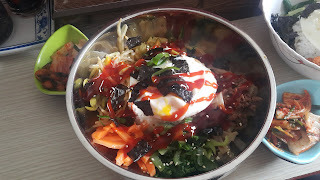 Bibimbap - one of the staple Korean food with different vegetables that is mixed together with gochujang (chili paste). 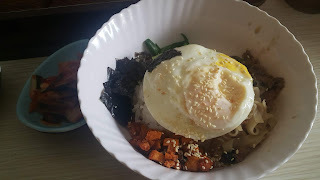 Their bibimbap also contains the regular vegetables including carrot, bean sprout (which is typically for Korean soup), cucumber, kim, leaves and pork. Both were served with Kimchi. They also give you their bibimbap sauce so you can intensify the heat according to your liking. 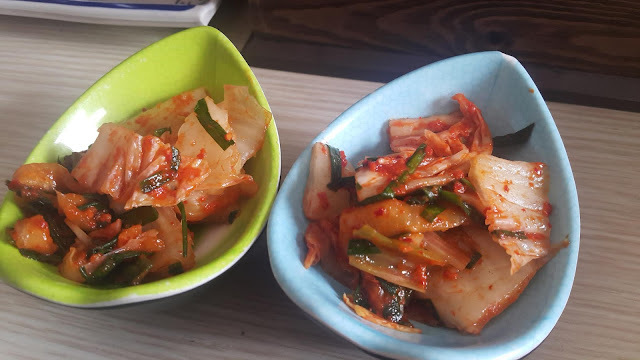 Their serving of Kimchi is great, not too much but not too small. Taste wise, it it was okay tho I find some a little salty so it wasn't mixed well yet. But it can easily be improved. Here's their menu! 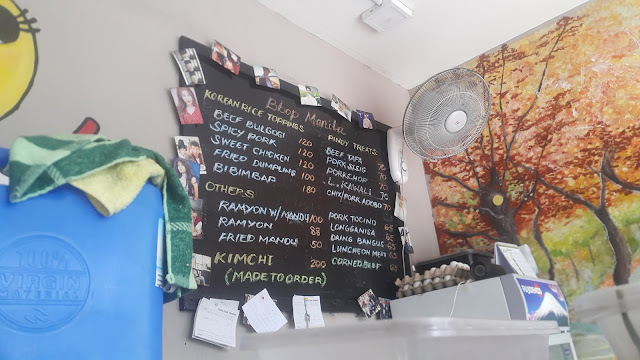 As you can notice, they also have the easy-to-go Filipino dishes on their menu and some Korean snacks like ramyon and mandu! They also have kimchi that's made to order.